Have you ever gone out of your way to do something really nice for someone else only to find out it wasn’t really what they wanted? The thought of all that wasted effort is enough to make one heartsick! As humans, we do this all of the time, though, don’t we? I could slave away all day in the kitchen creating the most lavish culinary masterpiece for my husband, but at the same time, I could also be ignoring his need for a listening ear. 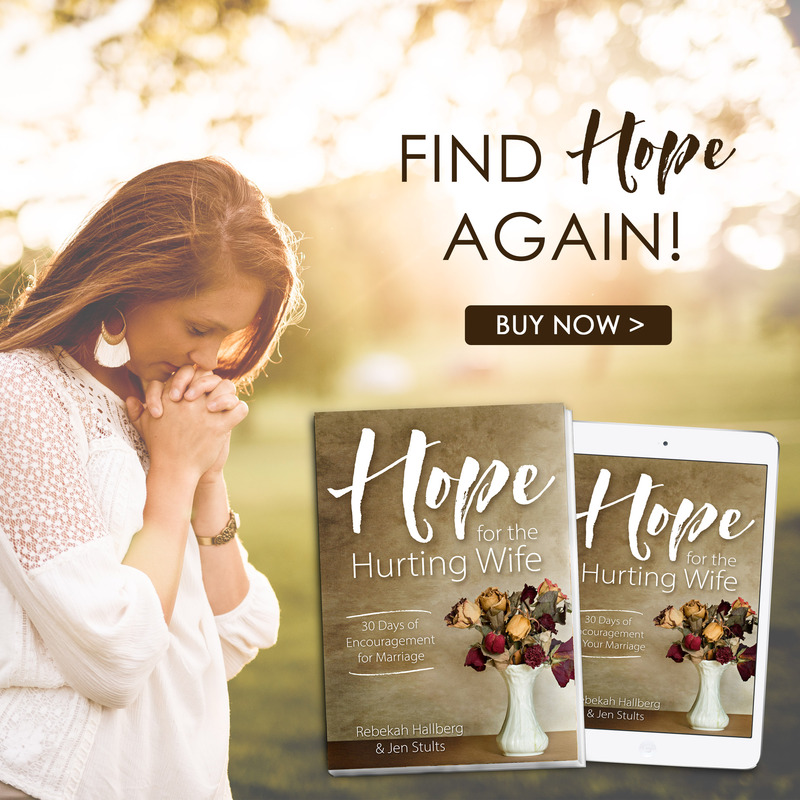 Imagine it with me – busy with the gift I wish to give him and the work I deem most important, I brush off his questions with curt answers and make it clear that I’m too busy at the moment. I offer him my hard labor instead of the attention he so desires. 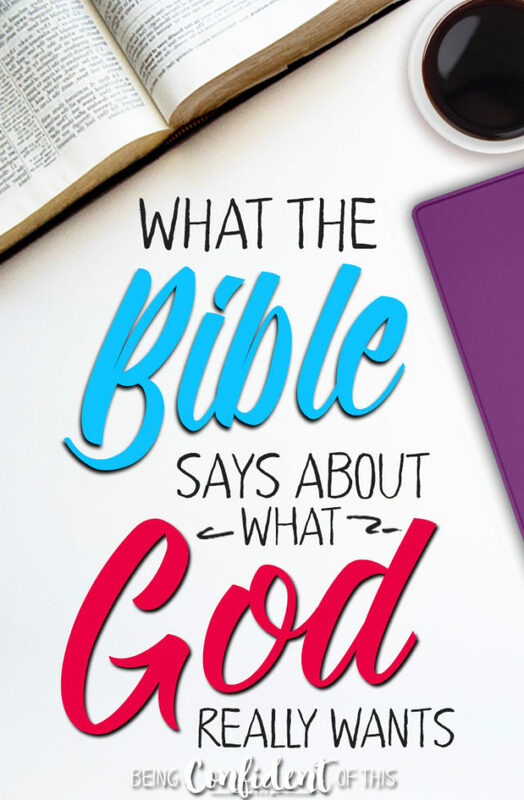 What if I told you we don’t just treat loved ones this way, but we also often treat God this way – offering up things He hasn’t even asked for, undesired sacrifices, in place of what He really wants from us? Imagine waking up every morning, trudging out to your backyard, and building a fire to offer a burnt sacrifice on a stone altar. You head back out again later in the day when you choose self over others, and again after that unkind thought, and again after snapping at a loved one. In and out of the house, offering sacrifices for sins committed throughout the day – it’s an exercise in futility. Today we would call such behavior crazy, wouldn’t we? Of course we would because we no longer offer burnt sacrifices like the Israelites did in the Old Testament …or do we? “Daily,” the priests stood at their posts; “time after time” they offered the “same” sacrifices for the same sins. Such repetition calls attention to the never-ending nature of their tasks. The Bible Knowledge Commentary explains that at the time the letter to the Hebrews was written, the Jewish Christians continued to offer sacrifices at the temple. For those who believed in Christ and His resurrection, such offerings should have been rendered meaningless by His atonement as the final sacrifice. So, why were they still trudging back and forth to the altar of sacrifice, so to speak? The early Hebrew Christians continued to offer sacrifices in spite of their belief in Christ. They knew of the gospel, the good news that abolished the old system and established a new covenant built on the cornerstone of Grace, but they struggled to let go of their old ways. At first glance, I was tempted to think, how silly of them – they’re doing so much work and it’s all meaningless! But lately the Lord has been opening my eyes to an alarming truth: I sometimes offer my own daily sacrifices, often without even realizing it. How often are we guilty of offering modern-day sacrifices instead of what God really wants most? Just think about it for a moment. This is what we like to do, friends. We wake up in the morning thinking we’ll do His work today. We’ll be the best mom, wife, aunt, sister, friend, child, Christian we can be. We even have this list of good things to do in mind. And we offer these things up to Him as our very own sacrifices, sometimes without even realizing what we’re doing. Okay, Lord, I’ve accomplished all of those things on the list. Here ya go. Are we good now? I can go about the rest of my day as I please, right? Or maybe, I’ve tried really hard today. You’re pleased with me now, right? I pile the sacrifices of good behavior up in a nice neat pile on my “altar,” thinking I’m good to go, except I’m not because while I was busy checking off my good-Christian-girl-things-to-do list, I withheld the very thing He wanted most: myself. In whole burnt offerings and sacrifices for sin You have taken no pleasure. Here Jesus reveals that God the Father takes no pleasure in burnt offerings. Instead Jesus offers something else – His very being – so that He might do the will of the Lord. The same is true of us, co-heirs with Christ. The Father doesn’t desire our sacrifices in the first place. He desires our hearts, our very beings. What God really wants is so much less about doing than we like to make it, and so much more about being than we like to offer. Don’t get me wrong, friends. We should be loving others, choosing joy, offering praise, living in the Spirit. But if any of those good things are done out of a sense of obligation, duty, or an attempt to earn His favor, then they are pointless. You might as well build altars in your backyard and start burning animals. We cannot offer doing on the sacrificial altar at the expense of being. When we do, we get the horse before the cart, for no good thing can come from us on our own. Good works only come from the overflow of a heart that lingers in His presence! We must constantly choose “being” in Him, abiding moment by moment, day by day. Doing never leads to being, but being always leads to doing. It’s all about embracing that personal relationship with our Father God, abiding in Him. Am I Offering What God Really Wants? So, ask yourself: what am I offering up to the Lord today? Is it what God really wants? The truth is that we who are in Christ already have the Lord’s favor. 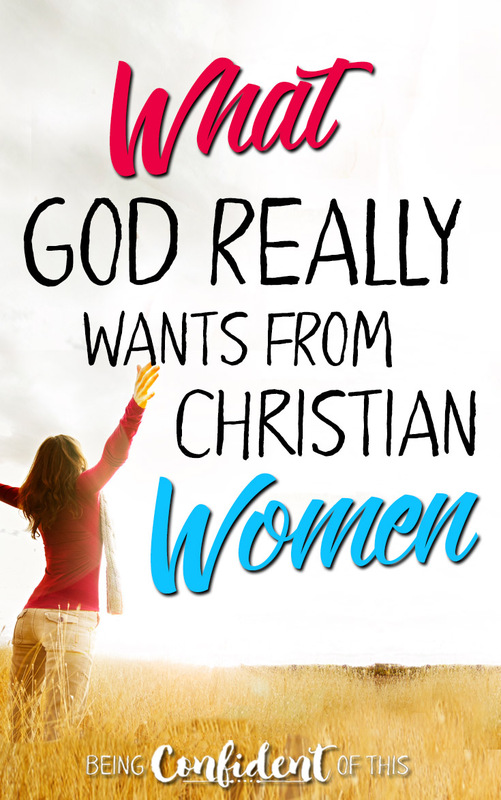 What God really wants most then is really very simple and has little to do with how we mother, how we serve at church, how clean our houses are or how happy we make our husbands. What He desires is you. What a sweet relief to realize that our falling down at His feet in surrender is enough! Father, remind us that it’s meaningless to offer undesired sacrifices. Help us to let go of the doing and embrace instead the being. Remind us that if we abide in You, the doing naturally overflows. Help us to rest in the grip of Grace, for Your Son was and is enough. The debt is paid once and for all. Now we are set free. Set free to just be. 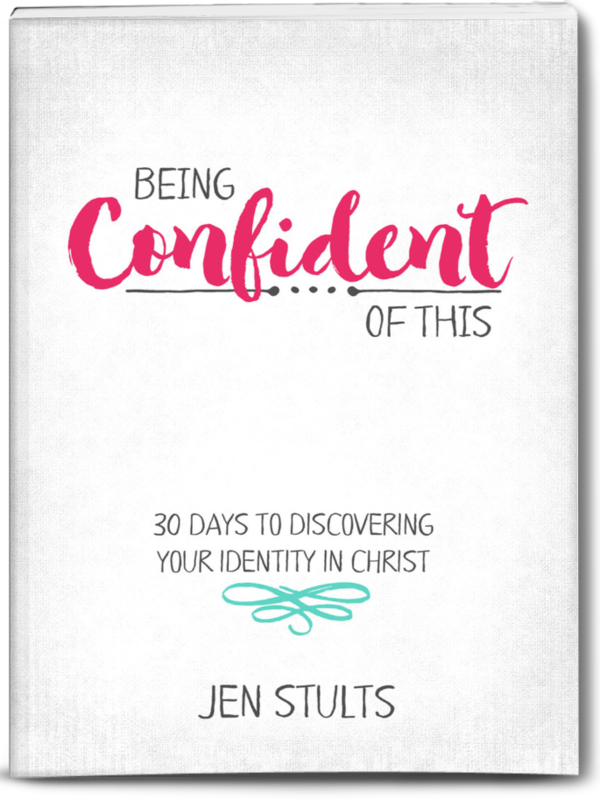 *This post is an excerpt from the devotional, Being Confident of This: 30 Days to Discovering Your Identity in Christ. Click here for more information. or click the image below to purchase (my affiliate link – to read more about our affiliate partnerships, please visit the About page). Here’s another great read on what God really wants from Christians from Satisfaction Through Christ.